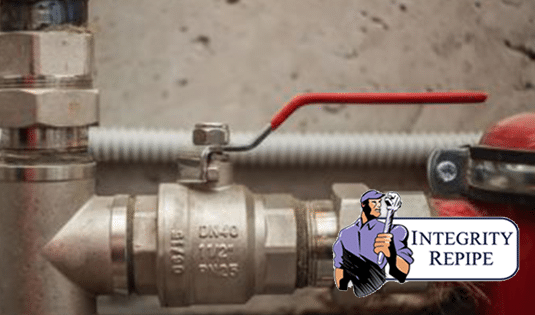 When you need repipe plumbing contractors in Oceanside, California, Integrity Repipe has the skills, experience, and knowledge to get the job done right with ease and customer satisfaction. With over twenty-six years of plumbing experience and 24/7 emergency plumbing services for those times when you need us most, we are dedicated to providing you with capable, hands on contractors who we are trained to bring you quality pipe repairs or repiping services. At Integrity Repipe, we are proud to say that we do not use subcontractors, as there can be gaps in skill and knowledge. All of our contractors are trained by us and live up to our plumbing standards. With five star reviews on both Google and Yelp, we offer guaranteed repairs and a lifetime warranty on all of our plumbing repairs and repiping services. So if you have low water pressure, if your water is discolored, or if your water bills are much higher than they should be, contact the dedicated and hardworking plumbing contractors in Oceanside at Integrity Repipe. The most common time to find an issue with your home’s plumbing is when you are renovating. With the walls opened up and torn down, it is easy to spot clear issues in your pipes. At Integrity Repipe, our technicians are professionally trained and provide a clean and safe work environment while giving you the affordable plumbing services you need to get your home renovation done on time and under budget. When you enlist Integrity Repipe to help you with your dire plumbing situation, we make sure you know the implications of repiping your entire home. A typical two to three bathroom home takes an estimated three days to repipe. The first day is spent removing and replacing the pipes and plumbing, while the second and third days are spent on patchwork for your walls and floors so that there is no trace of our presence left behind. Replacing the plumbing in your Oceanside home in California is no small task. With affordable plumbing and repiping services, Integrity Repipe offers qualified and trained technicians who can make sure your plumbing is repaired or replaced in a timely manner, and at a cost effective rate. We provide a variety of plumbing services including galvanized pipe replacement, copper pipe repairs, pinhole leak detection, slab leak detection and repair, PEX piping services, and so much more. At Integrity Repipe, we can repair or replace your plumbing with efficiency and quality in mind. For plumbers near you who are qualified to bring you quality plumbing services, look no further than Integrity Repipe. We specialize in slab and pinhole leak detections and repairs, pipe replacement of any kinds, and much more. Contact us today for more information! For help deciding if you want to incorporate PEX plumbing into your home, Integrity Repipe can help. PEX plumbing has many benefits including corrosion and freeze resistance, flexibility, ensured water purity, and much more. Find out of PEX plumbing is right for your home! Making the choice to repipe your home with copper or PEX plumbing is a big decision. Although copper piping has its benefits, its liabilities surpass them in every way. With PEX Piping, you get the most for your money, with long lasting, sturdy plumbing. Find out more about PEX piping today! With non invasive leak detection, Integrity Repipe in Oceanside is just the commercial repiping company to take care of your leaky pipes and and full pipe replacement. Replacing the plumbing in your home is far from easy and you shouldn’t have to bear that burden on your own. With friendly consultations from our trustworthy technicians, we can help you understand the implications and process of repiping your home in Oceanside. Finding the right repiping experts near you is easy when you come to Integrity Repipe. 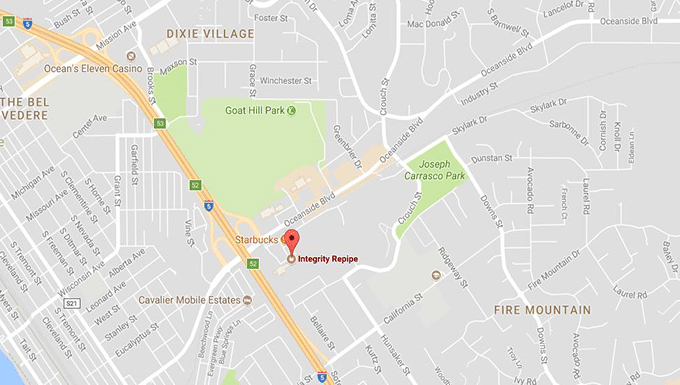 With a variety of plumbing services offered in Oceanside, including pinhole and slab leak repairs, copper pipe replacement, PEX plumbing services, and more, trust none other than the experienced and trained repiping contractors at Integrity Repipe.